I remember how excited I was to get the Handspring Visor which ran the Palm OS and was quite a technical masterpiece. 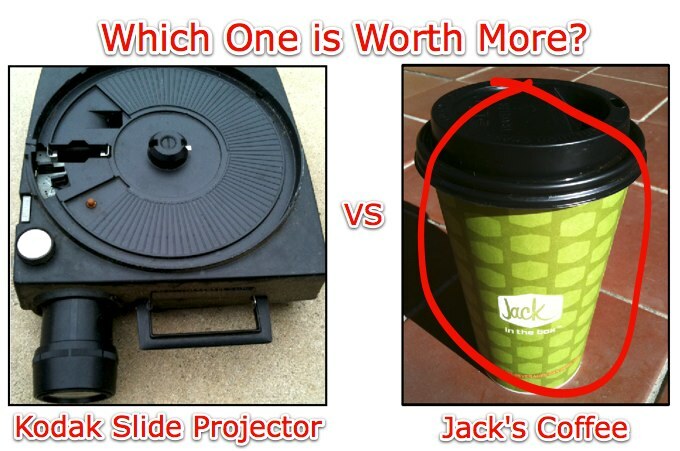 I’m still going with the cup of coffee as the better value. I decided I needed to take a break from writing on Fridays. I need some exercise, so I have started, “Is it worth more than a cup-of-coffee, Fridays?” Any outside submissions would be greatly appreciated. Cell phone photos would work great. I’ll also put the link to your web page so you can get two or three extra page views. Send your pics is today! 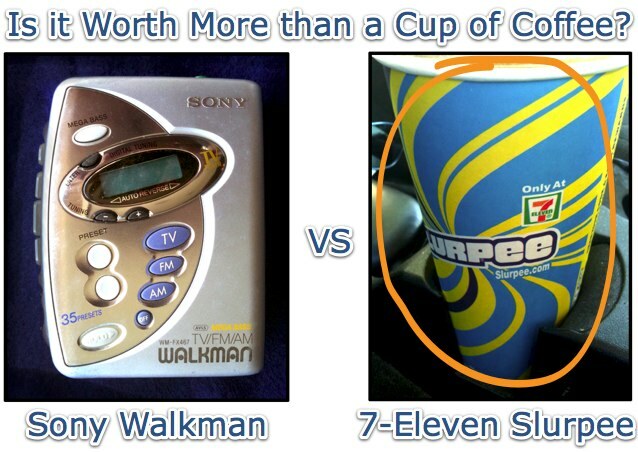 Just email me a photo of your favorite coffee cup (a cup of tea also works) and any of your miscellaneous high-tech items that has dwindled in value down to the two-dollar range. Any outside submissions would be greatly appreciated. I just need two photographs (cell phone quality is perfect. That’s what I use). Take a close up of your old technology and any drink: wine, soda, tea or coffee) It couldn’t be any easier. The email address in the left sidebar. Have a nice weekend! 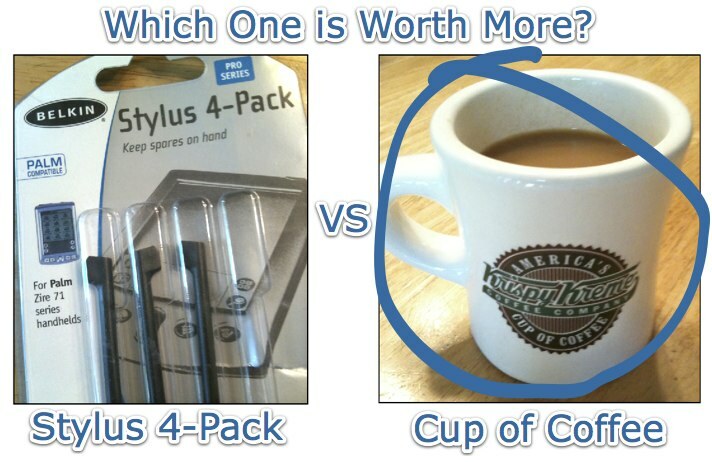 CLICK HERE and then SCROLL DOWN to see more “Is It Worth More Than a Cup of Coffee” blog posts. This week it couldn’t have been an easier pick. 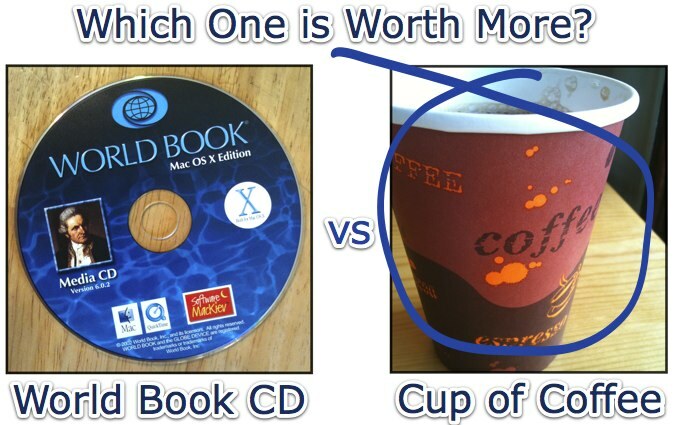 The World Book CD can’t be worth much. Times have really changed. 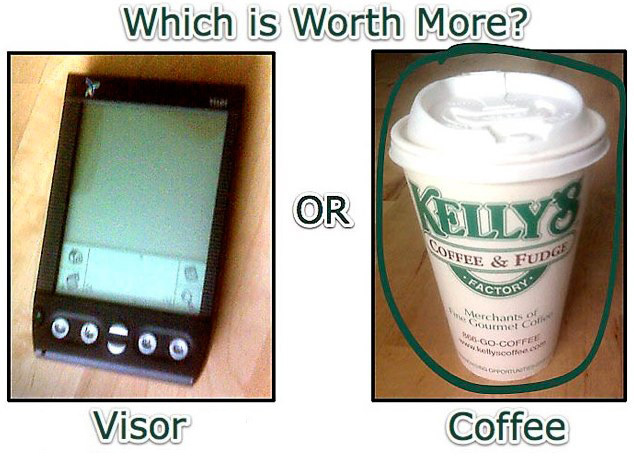 It’s another win for a cup of coffee, and a nosedive for the price of vintage technology. This week I found an old Kodak slide projector tucked away in the garage. Having a projector was a necessity at one time. 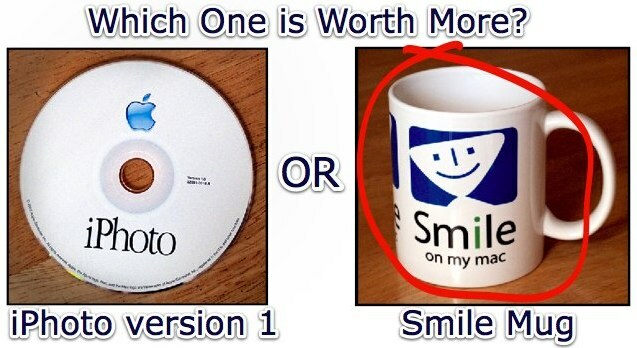 Now, who owns a projector? The dusty old projector isn’t worth much so I’m going with the cup of coffee today.